Hi lovelies! With spring upon us (or so they say!) 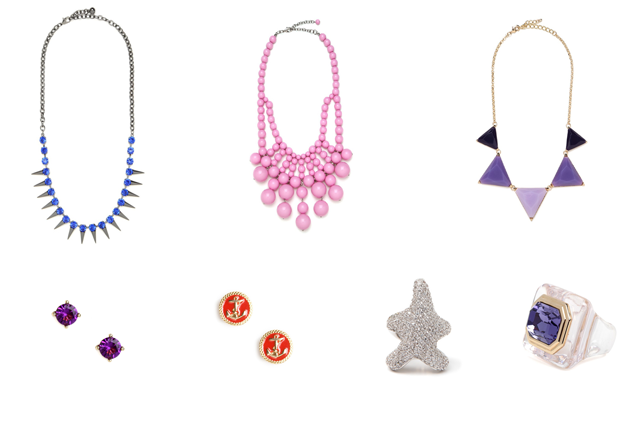 I am so excited about BaubleBar's Spring Cleaning sale! If you've never heard of / ordered from BaubleBar before, they work with leading jewelry designers, the same ones who supply high-end retail stores, and curate a collection of on-trend, affordable pieces. There's no commitment, no monthly charges, just buy what you want when you want. The best part? You'll get $10 off your first order when you sign up! So click here and sign up! Now, they're having this incredible Spring Cleaning sale, with pieces up to 60% off! Here's some of my favorites. At these prices, they all are affordable! Any pieces you've got your eye on?